Clean air is essential to good health; this is an undisputed fact. This is especially true for young children and senior citizens. In a city as large as Toronto, with over 4 million people and counting, keeping the air clean has proven to be a difficult challenge. Air pollutants exist everywhere, even in a city as progressive and environmentally-friendly as Toronto. While the outdoor air may be out of our control, we can certainly do something about our indoor air. Commercial HVAC systems are very sophisticated and play an important role in ensuring that we have clean air inside of our buildings. 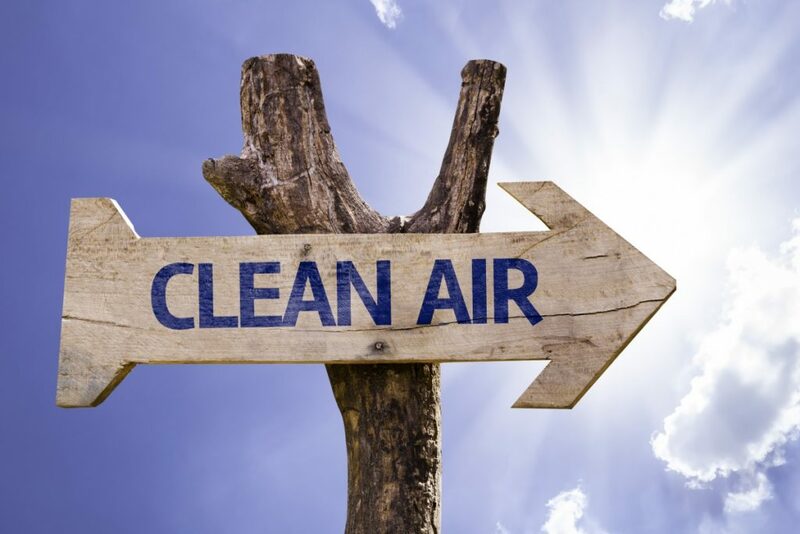 Here are reasons why Commercial HVAC cleaning and maintenance are vital to create the clean air you want to breathe. The simple reality is we live in a heavily populated area with significant amounts of pollutants being pumped into the air on a daily basis. And while the city of Toronto and the province of Ontario have worked hard to minimize the environmental impact of our population, there is no getting around the fact that pollutants still exist. Without a clean and efficient commercial HVAC system, these pollutants will find their way through your air system. Dust and particles come from a variety of sources, including construction sites and vehicle exhaust. This particle matter will build up within your HVAC system, eventually clogging the cooling coil, indoor fan and ductwork which greatly reduces the HVAC system efficiency and increases the operating cost. Other than your standard city smog and dust, there are other elements that can negatively impact the breathing air of a building. Dust mites and mold commonly build up in HVAC ducts and can spread throughout a facility. Proper cleaning can minimize or eliminate this from occurring. With a struggling or unclean HVAC system other air pollutants such as food odors or ozone can accumulate and simply “sit” in a room with nowhere to go. Springbank Mechanical’s maintenance program will ensure that your HVAC system is clean and working properly so that this can be avoided. High Efficiency Filters – An easy and effective way to deal with particle removal is to use a high efficiency pleated filter in your HVAC equipment. These filters come in different efficiencies from 30% to 85% and can remove almost all dirt, dust and pollen particles from the air. This is probably the most cost-effective method of particle removal. Ultra Violet (UV) “stick” Light – The use of the UV lights to kill mold and bacteria has become common place in Commercial HVAC systems in the last 5 years. These lights are easy to install and can kill up to 95% of airborne bacteria and surface mold. For people suffering from allergies the addition of a UV system in their commercial equipment is life changing. Duct Cleaning – Despite the bad name given to Duct Cleaning Companies because of their constant calling for residential business, the process works. If your equipment and related ductwork has never been professional cleaned, it’s time. This is one of the best and most cost-effective ways to improve indoor air quality and improve airflow to the occupied space. Can These Items Be Part Of Your Annual HVAC Maintenance? I’m always happy to talk about how Springbank Mechanical Systems can best serve your facility. If you’d like to learn more, call or email me anytime.